Postmodern Christianity refers to various forms of Christianity which have been influenced by postmodern philosophy. Although a relatively recent development within Christianity, some Christian postmodernists assert that their style of thought has an affinity with foundational Christian thinkers such as Augustine of Hippo and Thomas Aquinas, and famed Christian mystics such as Meister Eckhart and Angelus Silesius. In addition to Christian theology, postmodern Christianity has its roots in post-Heideggerian continental philosophy, developed ca. 1960s to present. Despite the name some people eschew the label "postmodern Christianity" because the meaning of the term "postmodern" is frequently debated, even between those who use the label. Therefore, some say it has almost no determinate meaning and, in the United States, serves largely to symbolize an emotionally charged battle of ideologies. Moreover, such alleged postmodern heavyweights as Jacques Derrida and Philippe Lacoue-Labarthe have refused to operate under a so-called postmodern rubric, preferring instead to specifically embrace a single project stemming from the European Enlightenment and its precursors. Nevertheless, postmodern Christianity and its constituent schools of thought continue to be relevant. Liberal Christianity, sometimes called liberal theology, has an affinity with certain current forms of postmodern Christianity, although postmodern Christian thought originated as a reaction against mainstream Protestant liberalism. Liberal Christianity as an umbrella term covers diverse philosophically informed movements and moods within 19th- and 20th-century Christianity. Despite its name, liberal Christianity has always been thoroughly protean. The word "liberal" in liberal Christianity does not necessarily refer to a leftist political agenda but rather to insights developed during the Enlightenment. Generally speaking, Enlightenment-era liberalism saw humans as political creatures and held liberty of thought and expression among the highest human values. The development of liberal Christianity owes much to the works of the philosophers Immanuel Kant (1724-1804) and Friedrich Schleiermacher (1768-1834). Overall, liberal Christianity is a product of a continuing philosophical dialogue. In the 19th century, self-identified liberal Christians sought to elevate Jesus' humane teachings as a standard for a world civilization freed from cultic traditions and from traces of "pagan" belief in the supernatural. As a result, liberal Christians placed less emphasis on miraculous events associated with the life of Jesus than on his teachings. (The effort to remove "superstitious" elements from Christian faith dates to intellectual reformist Christians such as Erasmus (1466-1536) and the Deists in the 15th–17th centuries.) The debate over whether a belief in miracles was mere superstition or essential to accepting the divinity of Christ constituted a crisis within the 19th-century church, for which theological compromises were sought. The Jefferson Bible, or The Life and Morals of Jesus of Nazareth as it is formally titled, represents the efforts of Thomas Jefferson (1743-1826) to extract the doctrine of Jesus by removing sections of the New Testament containing supernatural aspects as well as perceived misinterpretations which he believed the Four Evangelists had added. Many 20th-century liberal Christians felt the influence of the philosophers Edmund Husserl (1859-1938) and Martin Heidegger (1889-1976). Examples of important liberal Christian thinkers include Rudolf Bultmann (1884-1976) and John A.T. Robinson (1919-1983). Christian existentialism is a form of Christianity that draws extensively from the writings of Søren Kierkegaard. 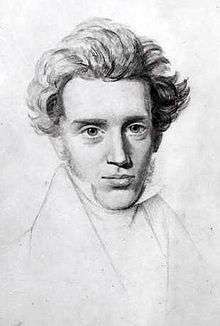 Kierkegaard initiated the school of thought when he reacted against Georg Wilhelm Friedrich Hegel's claims of universal knowledge and what he deemed to be the empty formalities of the 19th century church. Christian existentialism places an emphasis on the undecidability of faith, individual passion, and the subjectivity of knowledge. Although Kierkegaard's writings weren't initially embraced, they became widely known at the beginning of the 20th century. Later Christian existentialists synthesized Kierkegaardian themes with the works of thinkers such as Friedrich Nietzsche, Walter Benjamin, and Martin Buber. Paul Tillich, Lincoln Swain, Gabriel Marcel, and John Macquarrie are examples of leading Christian existentialist writers, building upon a legacy of neo-orthodox thinkers like Karl Barth and Emil Brunner, who similarly disdained the propositionalism of traditionalist Protestantism. Although philosophical theology per se can be traced back centuries, the idea of a "Continental" philosophical theology came about in 1997 with the formation of the Society for Continental Philosophy and Theology as part of the Society for Existential Philosophy and Phenomenology. The movement was fueled heavily by the slew of notable post-Heideggerian philosophers that appeared on the European continent and in the United States in the 1970s and 1980s. Groundbreaking works such as Carl Raschke's The End of Theology, Mark C. Taylor's Erring, Charles Winquist's Desiring Theology, Jean-Luc Marion's God Without Being and John D. Caputo's The Prayers and Tears of Jacques Derrida ushered in the era of continental philosophical theology. After 2000 the main interest in Continental philosophical theology shifted to Christian evangelicals and the Emergent Church movement with the influential publisher Baker Academic Books leading the way through its "Church and Postmodern Culture" series. Radical orthodoxy is a form of continental philosophical theology that has been influenced by the works of reformed theologian Karl Barth, Catholic theologians Henri de Lubac, Hans Urs von Balthasar, and phenomenological French Catholic philosopher Jean-Luc Marion. It is a style of theology that seeks to examine classic Christian writings and related Neoplatonic texts from a contemporary, philosophically continental perspective. The movement finds in writers such as Augustine of Hippo and Pseudo-Dionysius the Areopagite valuable sources of insight and meaning relevant to modern society and Christianity at large. John Milbank, Catherine Pickstock, Graham Ward, and James K.A. Smith are leading proponents of radical orthodoxy. The movement is also related to postliberalism, a movement of theology whose chief advocate is Stanley Hauerwas which rejects liberal methods of hermeneutics and Enlightenment assumptions regarding epistemology. The hermeneutics of religion is another form of continental philosophical theology. The system of hermeneutic interpretation developed by Paul Ricœur has heavily influenced the school of thought. A central theme in the hermeneutics of religion is that God exists outside the confines of the human imagination. Richard Kearney is a prominent advocate of the movement. Weak theology is a manner of thinking about theology from a deconstructive point of view. The style of thought owes a debt to Jacques Derrida, especially in light of his idea of a "weak force." Weak theology is weak because it takes a non-dogmatic, perspectival approach to theology. Proponents of weak theology believe that dominant contemporary explications of theology are inherently ideological, totalizing, and militant. In response, weak theology expresses itself through acts of interpretation. According to Caputo, the distinctive reinterpretive act of weak theology has resulted in the notion of the weakness of God. In the body of thought, the paradigm of God as an overwhelming physical or metaphysical force is regarded as mistaken. The old God-of-power is displaced with the idea of God as an unconditional claim without force. As a claim without force, the God of weak theology does not physically or metaphysically intervene in nature. Weak theology emphasizes the responsibility of humans to act in this world here and now. Because God is thought of as weak and as a call, weak theology places an emphasis on the "weak" human virtues of forgiveness, hospitality, openness, and receptivity. In each of these virtues, a metaphoric "power of powerlessness" is at work. John D. Caputo and Gianni Vattimo have recently completed works that further develop the idea of a weak theology, with Slavoj Zizek also developing similar themes in his work. Earlier, liberation theologians such as Jurgen Moltmann also dealt with concepts such as the kenotic, or self-emptying nature of God in Christ. Peter Rollins, a major influence on the emerging church movement, has also turned toward the direction of radical theology and become a major influence on various strands of postmodern Christianity. ↑ Raschke, Carl (2000). The End of Theology (2nd edition. Originally published in 1979. ed.). Denver CO: The Davies Group. ↑ Taylor, Mark (1987). Erring: A Postmodern A/Theology. Chicago: University of Chicago Press. ↑ Winquist, Charles (1994). Desiring Theology. Chicago: University of Chicago Press. ↑ Marion, Jean-Luc (1995). God Without Being. Chicago: University of Chicago Press. ↑ Caputo, John D. (1997). The Prayers and Tears of Jacques Derrida. Bloomington, IN: Indiana University Press. Caputo, John D. (2004). "Jacques Derrida (1930–2004)", Journal of Cultural and Religious Theory, Vol. 6, No. 1, December 2004. Caputo, John D. What Would Jesus Deconstruct? : The Good News of Postmodernity for the Church. Grand Rapids: Baker Academic, 2007. Engel, Ulrich (2001). "Religion and Violence: Plea for a 'weak' theology in tempore belli", New Blackfriars, Vol. 82, No. 970, pp. 558–560, December 2001. Heltzel, Peter G. (2006). "The Weakness of God: A Review of John D. Caputo's The Weakness of God: A Theology of the Event", Journal of Cultural and Religious Theory, Vol. 7, No. 2, Spring/Summer 2006. Marion, Jean-Luc. God Without Being. Chicago: University of Chicago Press, 1995. Raschke, Carl (2000). The End of Theology. Denver, CO: The Davies Group, 2000. Originally published as The Alchemy of the Word: Language and the End of Theology, Missoula, MT: Scholars Press, 1979). Raschke, Carl (2006). "The Weakness of God... and of Theological Thought for that Matter", Journal for Cultural and Religious Theory, Vol. 8, No. 1, Winter 2006. Smith, James K.A. Who's Afraid of Postmodernism? : Taking Derrida, Lyotard, and Foucault to Church. Grand Rapids: Baker Academic, 2006. Swain, Lincoln. The Why People: Faith, False Prophets and End Times Detroit: Atomic Quill Press, 2011. Taylor, Mark C. Erring: A Postmodern A/Theology. Chicago: University of Chicago Press, 1987. Taylor, Victor. "From Alchemy to Revolution: A Conversation with Carl A. Raschke", Journal for Cultural and Religious Theory, Vol 12, No. 3, Spring 2014, 149-60. Winquist, Charles. Desiring Theology. Chicago: University of Chicago Press, 1994.